P&MM's events and communications division has stated it is on course to exceed its forecasted turnover in 2010 after winning a raft of new business. New business wins include work from additional divisions within existing clients' companies. P&MM's events and communications team director Chris Clarke said: "We're experiencing a surge in business compared to 2009 from current clients asking us to work with them in new markets, and also from new clients. Our most successful growth area is coming from conferences and product launches in the consumer market place." He added: "2010 is proving to be another successful year and we are ensuring that we maintain our growth momentum." P&MM was also awarded the Investors in People Bronze award, a status achieved by just one in 100 UK companies, earlier this month. 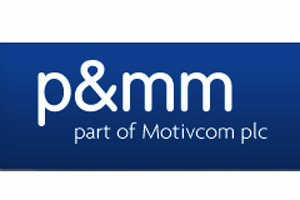 The agency is part of the Motivcom group, which reported a 46% growth in pre-tax profit in 2009. The parent company of event agencies P&MM, AYMTM and Zibrant reported pre-tax profit of £3.06m in the year to 31 December 2009, up 46% on the previous year.